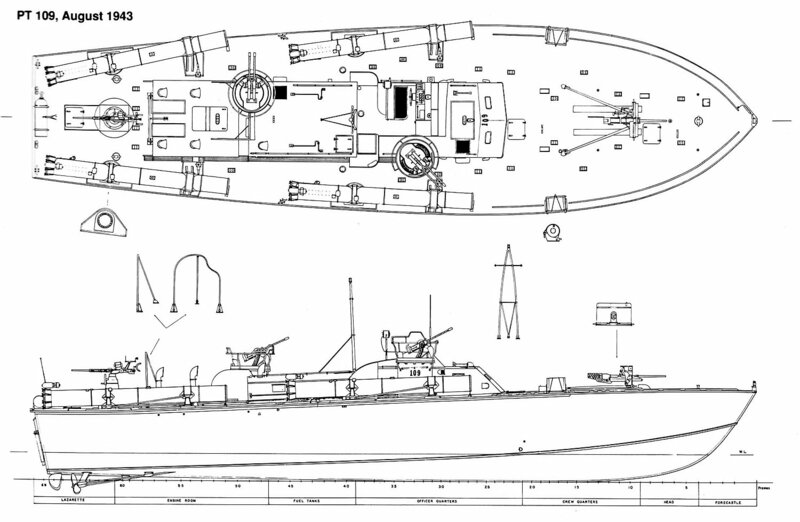 Naval Vessel Register of 1 January 1949 lists date of loss as March 1943. Propulsion: Three 3,600shp Packard W-14 M2500 gasoline engines, three shafts. 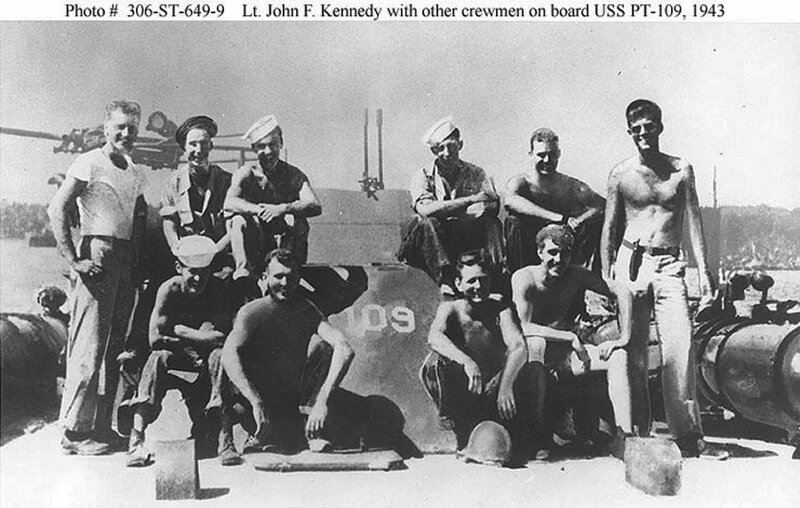 126k Lieutenant John F. Kennedy, USNR (standing at right) with other crewmen on board PT-109, 1943. This photograph has been retouched. 89k Official model, as mounted for exhibit during the 1960s. 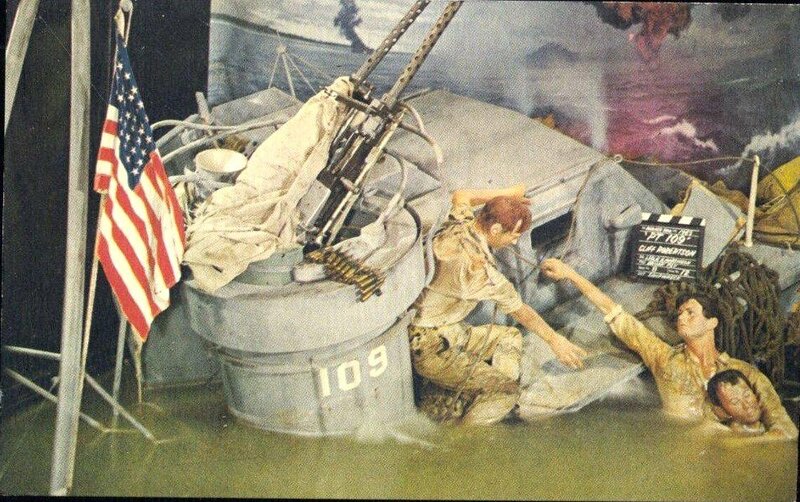 This image was received by the Naval Photographic Center in 1970. 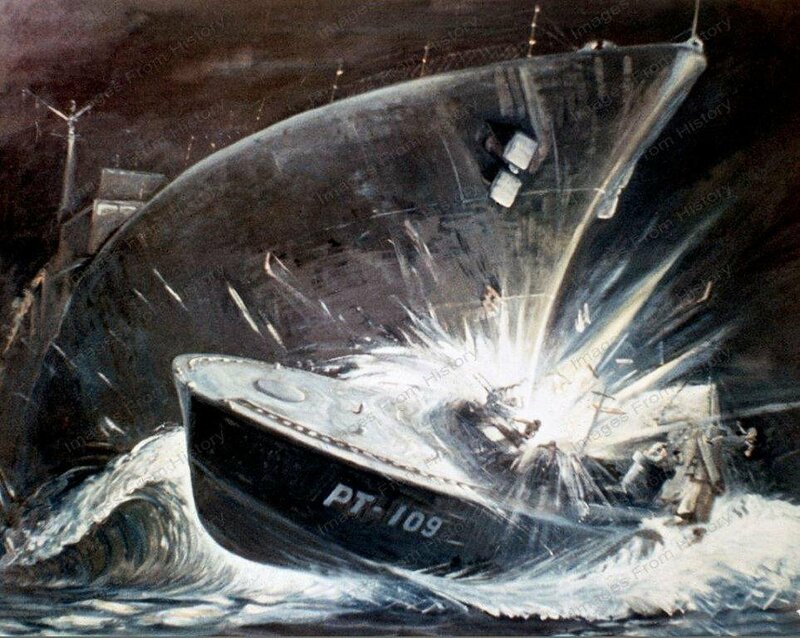 PT-109 joined MTB Squadron FIVE and shifted to Panama, replacing the first eight PT boats that sailed on transports for the south Pacific in early September. 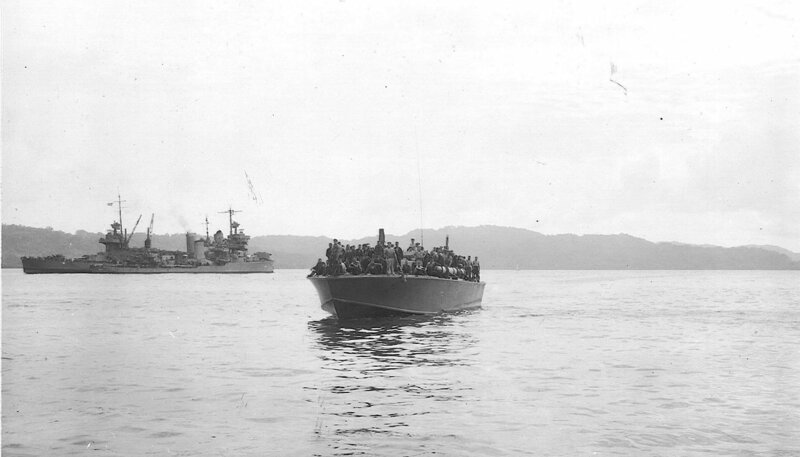 Six of the Elco boats, PTs 109 through 114, were then transferred to MTB Squadron TWO on 26 October 1942 and prepared for deployment to the Solomon Islands. The boats were loaded on cargo ships and sailed west, arriving at Sesapi, Tulagi harbor, Nggela Islands, at the end of November. 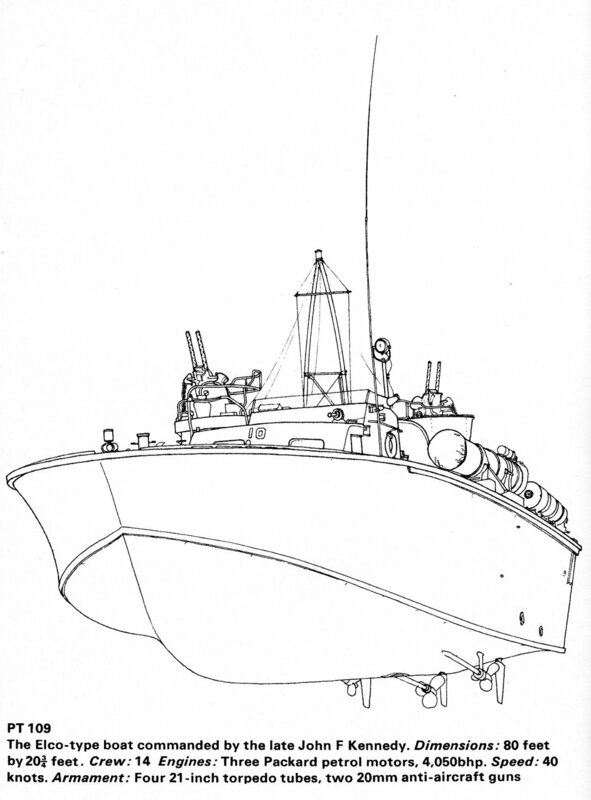 There, the Elco boats joined the earlier boats--which had established the MTB base at Sesapi in October--to form Motor Torpedo Boat Flotilla ONE, under Commander Allen P. Calvert. 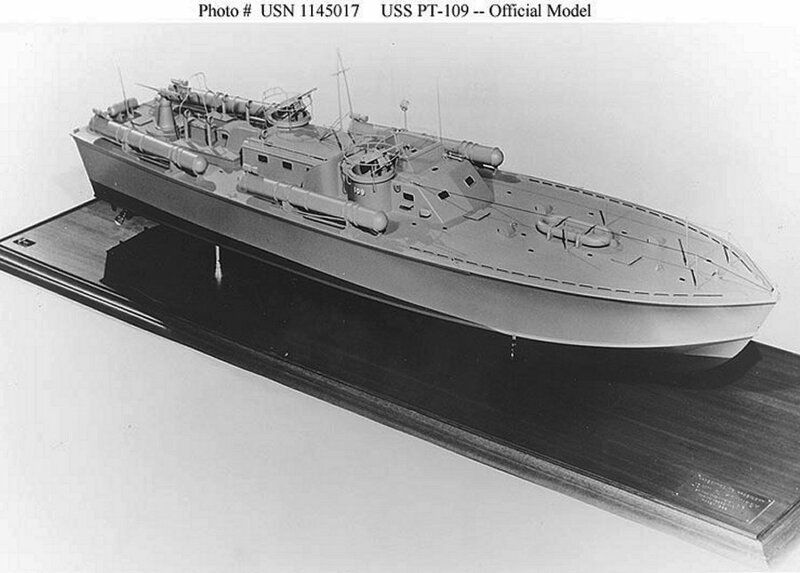 Starting the night of 13-14 October, when four boats attacked a Japanese force bombarding Henderson Field, it became regular practice to send the MTBs out on patrol when Japanese warships were reported heading down the "slot"--the broad passage between New Georgia and Santa Isabel. 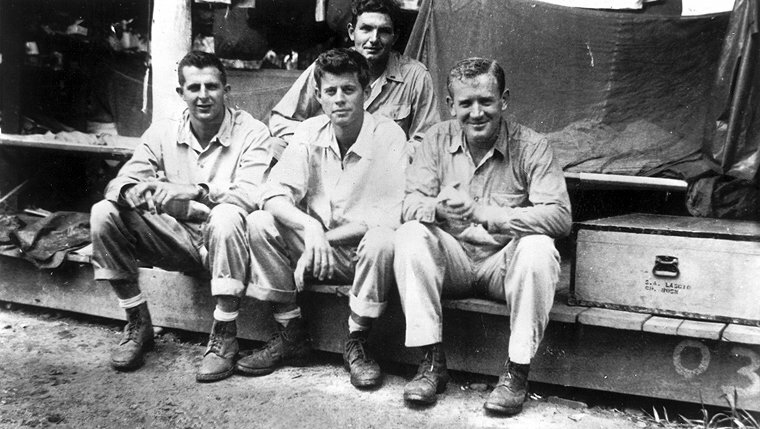 These reinforcement missions--delivering men and supplies to the Japanese-held shore of Guadalcanal--were called the "Tokyo Express." When those forces were spotted by plane or coast watcher, the torpedo boats put out from Tulagi and stationed pickets in the channels around Savo Island. 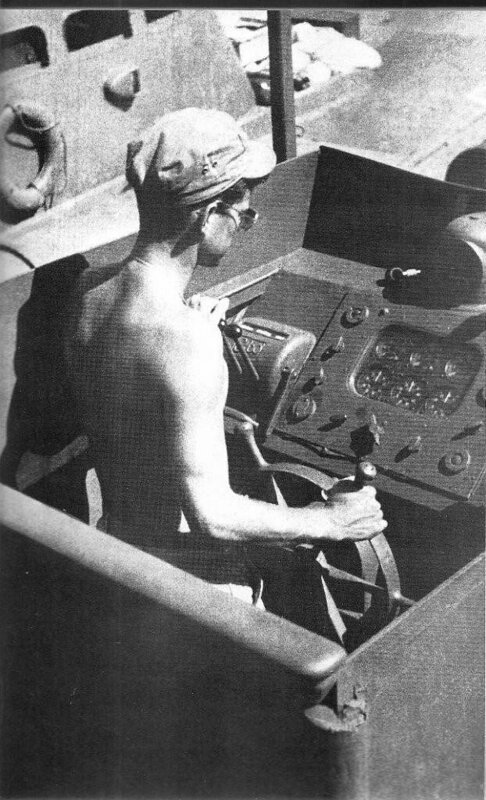 Other motor torpedo boats waited inside "Iron Bottom Sound," ready to move toward either passage when enemy ships were spotted. On night patrol on 14-15 January 1943, PT-109 unsuccessfully searched northwest of Savo for signs of nine expected Japanese destroyers. 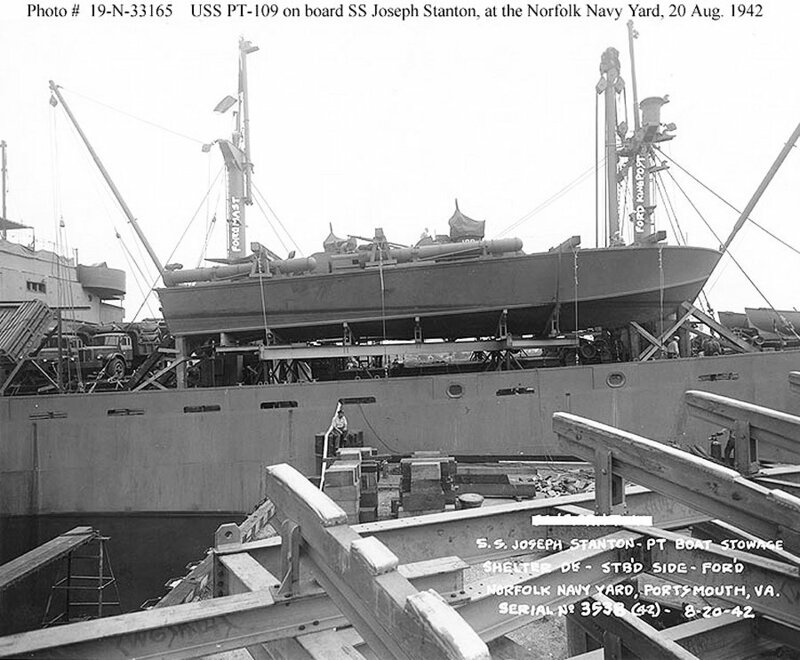 At one point, a patrolling plane dropped a depth charge about 150 yards off the port quarter. Before dawn, she closed Cape Esperance looking for an opportunity to attack enemy troops and stores. 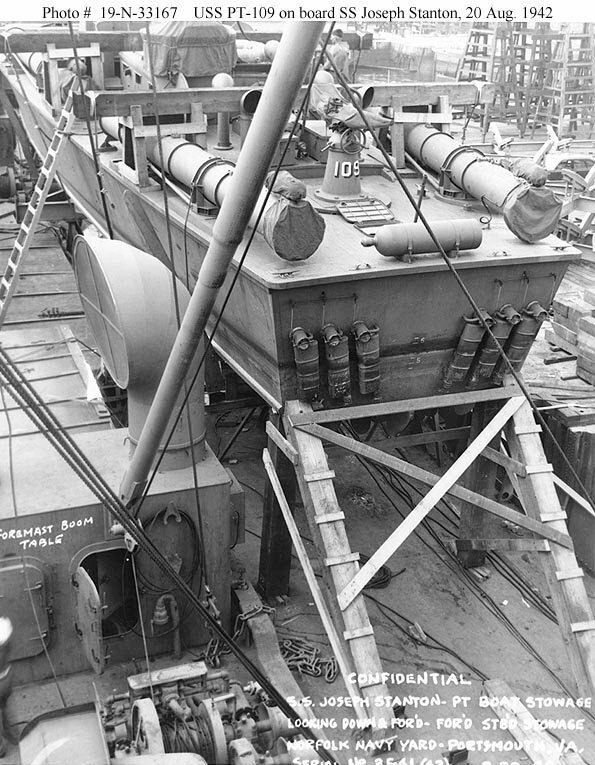 At daylight, however, enemy shore batteries caught her in range and punched three holes in her hull. She then made an unsuccessful attempt to pull PT-72 off a reef southwest of Florida Island before returning to base. 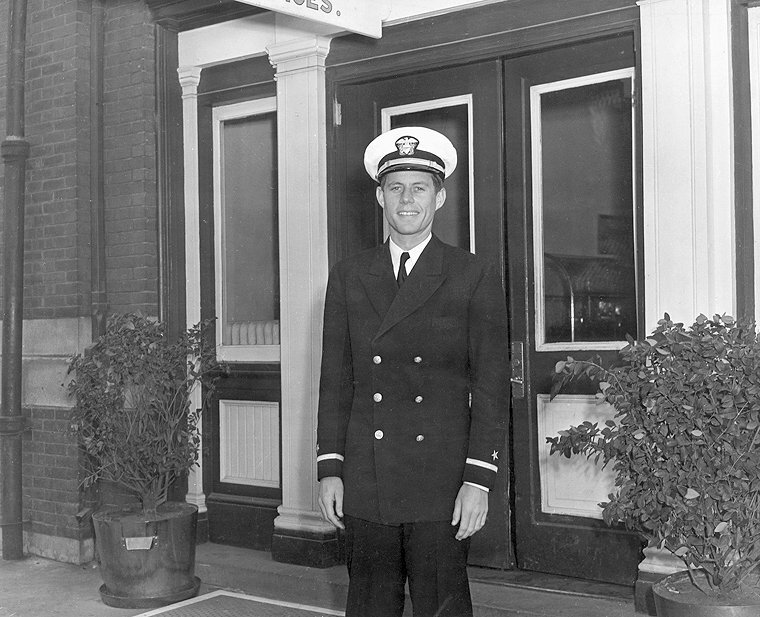 Lieutenant Kennedy started his patrol on one engine ahead at idling speed. 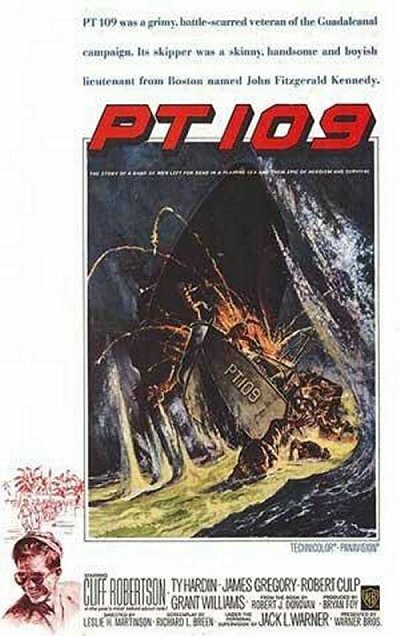 The three boats were due east of Gizo Island and headed south with PT-109 leading a right echelon formation. 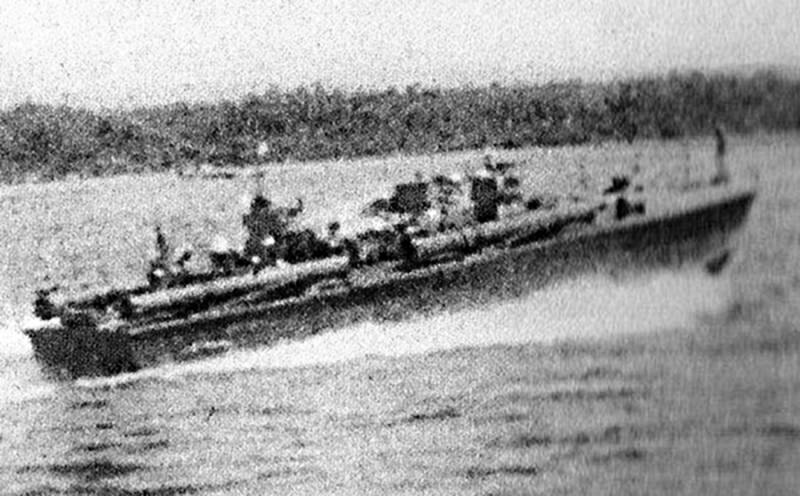 Unknown to them, the Japanese destroyer Amagiri was returning north after completing a supply mission to Kolobangara and had spotted the torpedo boats at a range of about 1,000 yards. Rather than open fire--and give away their position--the destroyer captain, Lieutenant Commander Kohei Hanami, turned to intercept and closed in the darkness at 30-knots. 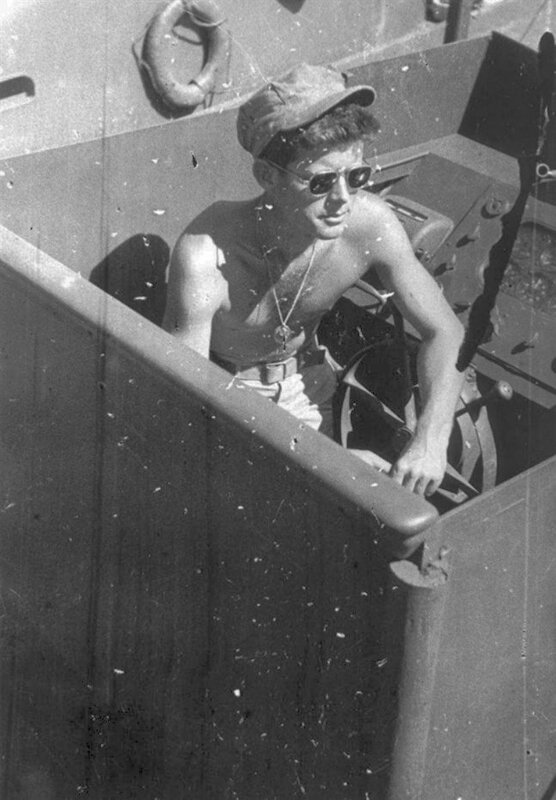 Initially spotted by PT-109 at 200 to 300 yards, Kennedy ordered the boat turned to starboard, preparatory to firing torpedoes. 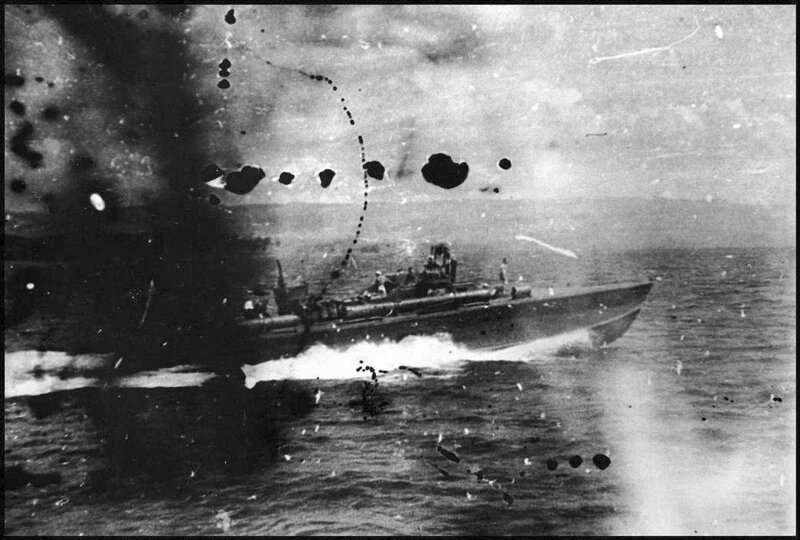 The turn was too slow, however, and the destroyer rammed, neither slowing or firing her guns as she split the boat apart. While the Japanese destroyer was slightly damaged in the collision, smashing in part of her bow and bending her screws, the warship still made 24-knots on the run home to Rabaul and arrived safely the following morning. 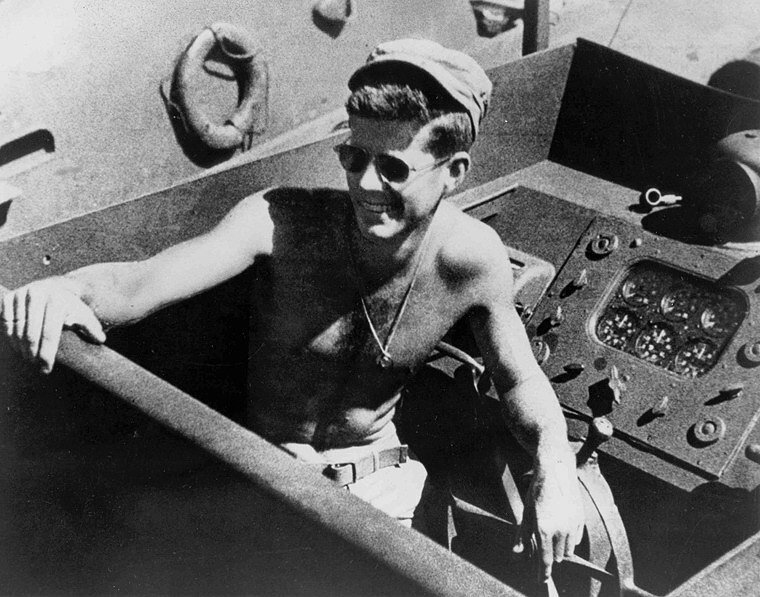 During the night of 5 August, Kennedy took the canoe into Ferguson Passage but found no PT boats. Returning home by way of Cross Island, where he picked up the food, he found the two natives there with the rest of the group. 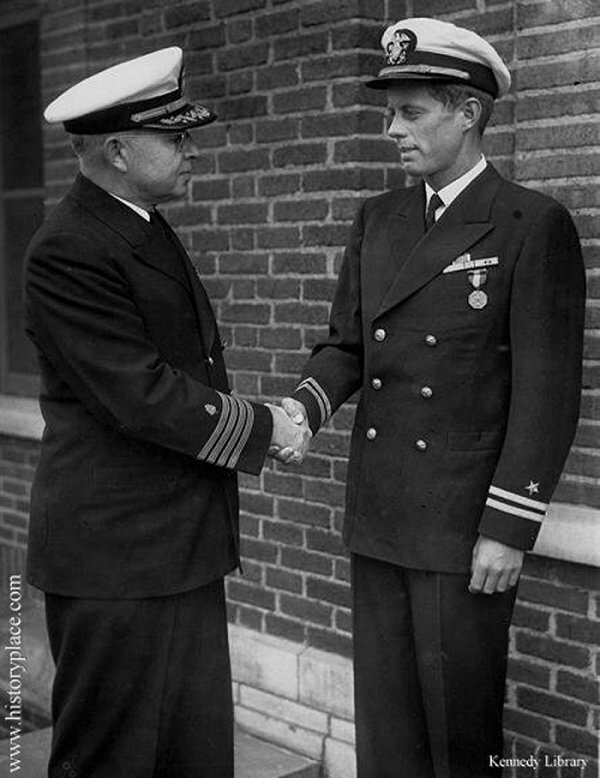 Ensign Thom, after telling them in as many ways as possible that he was an American and not a Japanese, had finally convinced the natives to help the Americans. 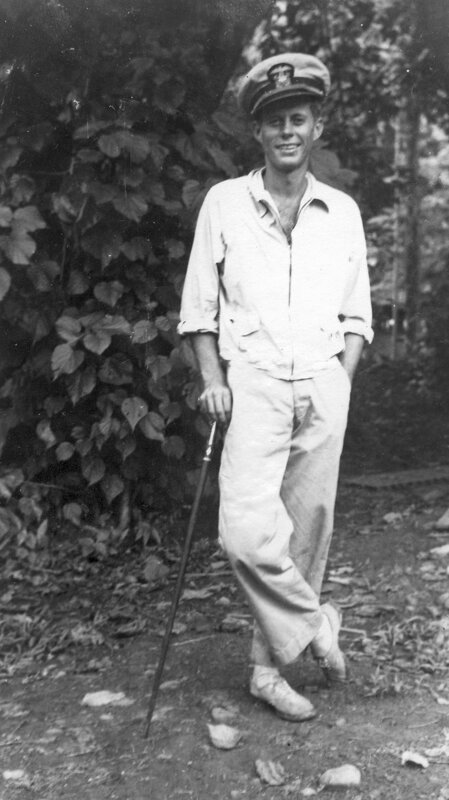 The natives were then sent with messages to the coast watchers on Wana Wana, one was a penciled note written the day before by Ensign Thom and the other a message written on a green coconut husk by Kennedy. 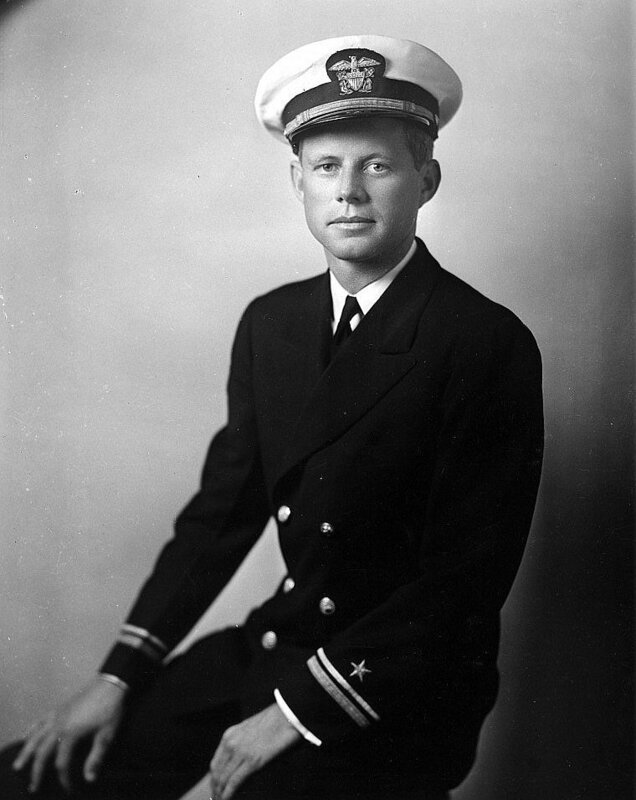 1 Star/Capture and Defense of Guadalcanal: 7-8 December 1942; 13-15 January 1943; 1-2 February 1943. 1 Star/New Georgia Group Operation: New Georgia-Rendova-Gangunu Occupation: 1-2 August1943.